Douglas Michael McMahon, with his wife Judy, responds after receiving the Axtell Walking Stick for outstanding community service. FISHLAKE NATIONAL FOREST—A Salt Lake City native who moved to Axtell with his wife 11 years ago and since then has become deeply involved in the community, received the Axtell Walking Stick on Monday. The honor went to Douglas Michael McMahon, 75. In accepting it, he said much of the credit should go to his wife, Judy. McMann said moving from Salt Lake City to Axtell was one of the best things that could have happened to him and his wife. 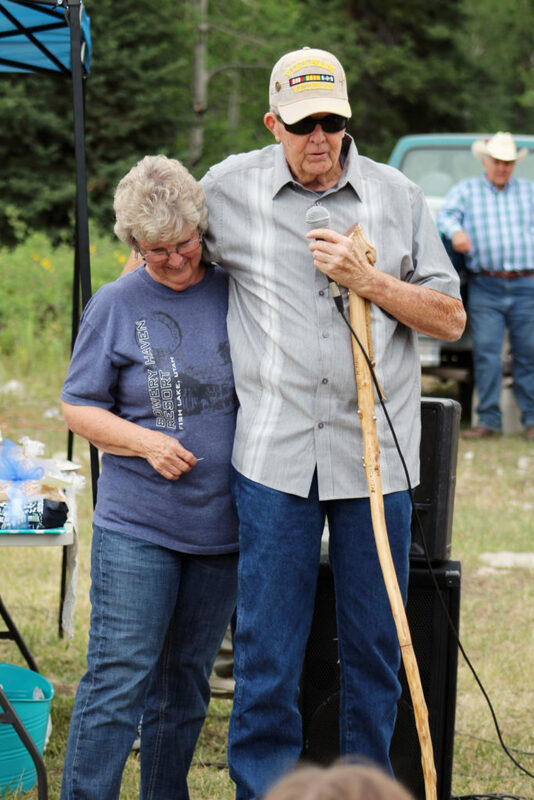 “It’s been a complete change of life, but it’s the best blessing that ever could have been bestowed,” he told the crowd of about 100 gathered for the Axtell Pioneer Day camp out and picnic at the Anthony Flats Campground in Willow Creek Canyon. Picnic fare included sloppy joes, potato and pasta salad, root beer brewed on site and watermelon. There was also a pie-eating contest; discharge of a candy cannon that sent dozens of children scrambling for tootsie rolls; and a game in which a wheel was spun, the wheel stopped on a color, and a child got to select a prize out of a container of the same color. Finally, there was the traditional auction where girls from the Axtell LDS Ward Young Women brought items they had baked or made, ranging from baked goods to artwork. Then Bruce King of Axtell auctioned off the items for amounts ranging from $25 to $150. Proceeds will go to support youth activities in the ward. The tribute to McMahon was presented by Reed Roberts of Centerfield, who works with McMahon in the American Legion. McMahon was born in Salt Lake City in 1942. He attended West High School and then went to work for Utah-Idaho School Supply, where he met his wife. They were married in 1961, 56 years ago. In 1970, he went into business as a siding contractor and operated the business until 2004. He retired completely in July 2005. McMahon has also served as president of the Gunnison Valley senior citizen organization. When the new Gunnison City Hall was built, he played a key role in making sure space for the seniors, including a quilting room, was included in the plans. He cares for the lawn at the Axtell Post Office building. Roberts said when he drives by, he often sees McMahon’s trailer there and McMahon mowing the grass with his riding mower. 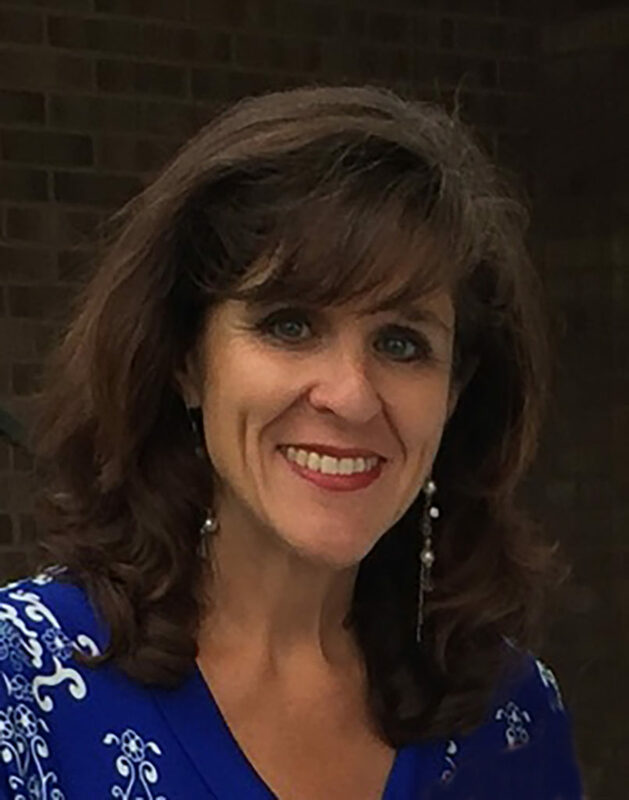 And, Roberts said, because McMahon had the expertise the unincorporated town needed, he was elected to the board of the Axtell Special Service District, which runs the water system, and has served more than four years. 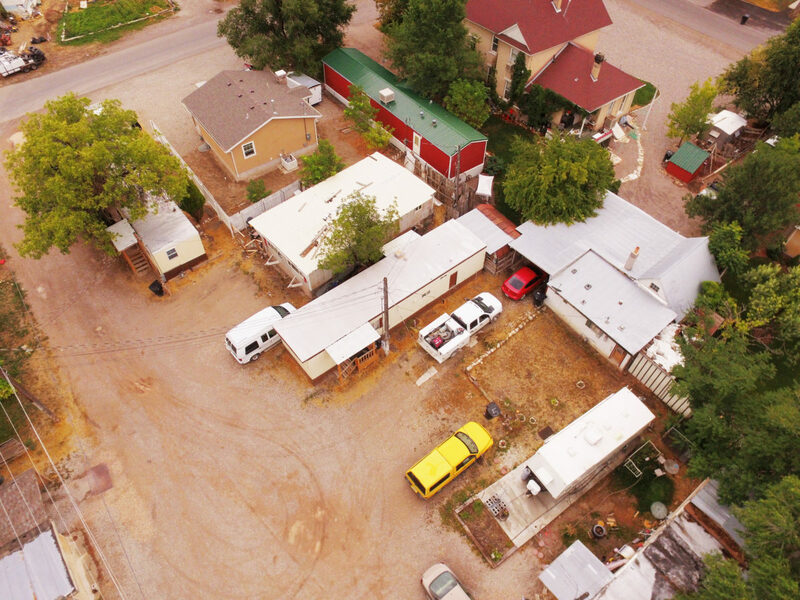 An aerial view of Duncan Trailer Court in Manti. Manti City recently sent the property’s landowner a letter telling her she needed to reduce the number of dwellings on the property, and address other safety violations. MANTI—Manti City administration has drawn a line in the sand with the landowner of Duncan Trailer Court, to see the property come into compliance with safety ordinances, and prevent potential mishaps. On July 13, the city sent a letter to the owner of the park, Mrs. Jody Arnold, who lives in Nevada. The letter, which Manti City Administrator Kent Barton composed, particularly addressed the issue of overcrowding, dangerous setbacks and dwelling density in the trailer court. The letter said that the current ordinance only allows for nine dwellings on the 0.89-acre lot, but according to Barton, there is currently 11—one house directly on Main Street, and 10 trailers set back behind the house with a side-alley driveway allowing access to the court from the street. There is another structure that the city refers to as the “Bunk House,” situated on the back yard of the house property, but with its access and parking from the rear in the Trailer Court area. Barton tells Arnold in the letter that the city wants her to bring the property into compliance with overcrowding and setback ordinance code, as well as not renting the “Bunk House” until its access, parking and utilities have become fully independent from the trailer court area. The letter was an effort, in part, to address potential problems like the fire that happened in Ephraim’s Main Street trailer court last year—one that quickly spread from one trailer to another that was situated too closely. Barton tells Arnold in the letter that the city was expecting her to submit a plan for remedying the multiple safety violations the trailer court currently has active. Barton says the city has no desire to push the trailer court out of business; they only want to address the safety issues. Wayne Riley of Manti has lived in Duncan Court for about five years. He says the park isn’t perfect, but he isn’t really worried about overcrowding or dwelling density. The Messenger attempted to contact Arnold for comment but received no reply. 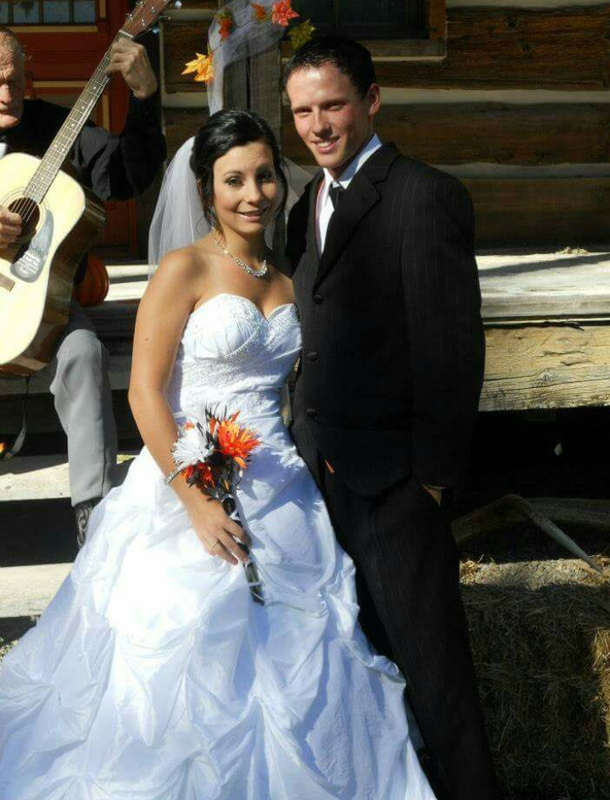 Ember and Colton Olsen of Manti on their wedding day Oct. 6, 2012. They have spent nearly five years trying in vain to conceive a child. 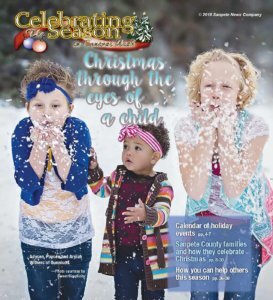 MANTI—After five years of heartbreaking setbacks, a Manti couple is reaching out to the community where they were raised to help them achieve their life goal—having a child. Colton, 22, and Ember Olsen, 23, say that during their years of trying to get pregnant, they exhausted alternatives for having a baby and incurred a tall stack of medical bills. The failed attempts took a toll on them and they had basically given up. Now, with the encouragement of a friend, they are prepared to explore their final (and most expensive) option—in vitro fertilization (IVF). The couple is trying to raise $11,000 through a GoFundMe crowdfunding campaign. The pair said that although they had no funding options, they never considered crowdfunding. When a friend pushed them to give it a try, they decided they were willing to risk the heartbreak of it possibly not working for the chance to be parents. And the couple has gone through a mountain of heartbreak in pursuit of parenthood. The two met for the first time when they were both 8-years old as ring bearer and flower girl in a relative’s wedding. Ember, says Colton was her first crush. They eventually began dating in 2010. He was 15 and she 16. 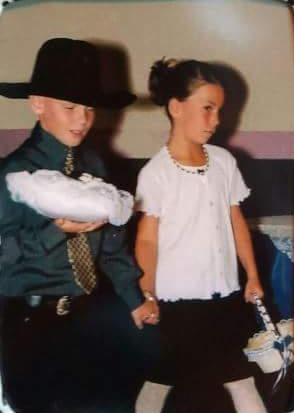 Colton (left) and Ember Olsen, on the first day they met, acting as ring bearer and flower girl in a relative’s wedding. In 2012, the young couple were married and decided to move out on their own. They also decided they definitely wanted to have a baby, but that they would just let it happen naturally. A year later, the couples still were not pregnant, and scores of negative home pregnancy tests weighed heavily on their minds. That was when they decided to consult a fertility doctor. The doctor was concerned and cleared Ember for a procedure that might improve their chances of getting pregnant. The procedure complete, the tests came back good, and the doctor gave the couple the green light to keep trying. Ember and Colton say they were still hopeful. Months later, the couple still hadn’t gotten pregnant, so they scheduled a diagnostic surgical procedure for Ember. In February 2013, the couple discovered Ember had Stage 4 endometriosis, a condition with no cure, and known to cause infertility and other negative symptoms. Ember says the discovery was bittersweet. They had some concrete answers why they weren’t getting pregnant, but the outlook had not improved. Ember underwent a difficult surgery, hoping to treat the condition into remission long enough to allow her to get pregnant. After the unsuccessful surgical treatment, under the direction of their doctor, Ember underwent three rounds of fertility treatments. Around then, an opportunity that was too good to be true arose for the couple, a chance to adopt a newborn baby boy. “We took the chance knowing that this may be our only chance at becoming the parents we so desperately wanted to be,” Ember said. In December 2014, the Olsen’s drove 28 hours to watch the birth of their adopted son-to-be. The boy was born healthy, and the Olsen’s say they were overjoyed to finally be parents. But their elation was premature. Complications in the adoption arrangement ended with the Olsens driving home without a baby. Ember took the cruel twist of fate just as badly. Traumatized by the failed attempt, the couple ruled out another adoption. Ember says she started to give up on being a mom. She and Colton were raised LDS, but their fertility problems made her doubt her faith. “It’s hard not to think, “Why won’t God let me have a baby?’” Ember said. She said it was challenging at times to see parents who didn’t appear to be affectionate, or even attached, to their children when she wanted one so badly. The couple also says the infertility problems caused some challenges in their marital life that they had to learn how to cope with over time. “It was something we just had to fight through,” Colton said. Despite repeated heartache in their effort to become parents, the couple sought out some new medical opinions. After coming to grips with the fact that their only real option was out of their reach, the couple says they decided to take a break from all the stress of trying to become pregnant, and to work on themselves and their marriage. “It was to try to heal ourselves from all the pain we had felt during the prior years,” Ember said. Fast forward to now, and the young couple has decided to take their friend’s suggestion to try to crowdfund the procedure. “It’s not easy asking for people’s money,” Colton said. But the couple swallowed their pride for something they say is a worthy cause. Colton is just as anxious to start raising a child as Ember. He admits his choice would be a little boy. He says he wants to teach a son how to hunt. Ember says she would be happy with either, but having a little girl would be nice. “I just want my mini-me,” she said. To contribute to the would-be parents’ GoFundMe account, visit https://www.gofundme.com/embers-ivf-journey. 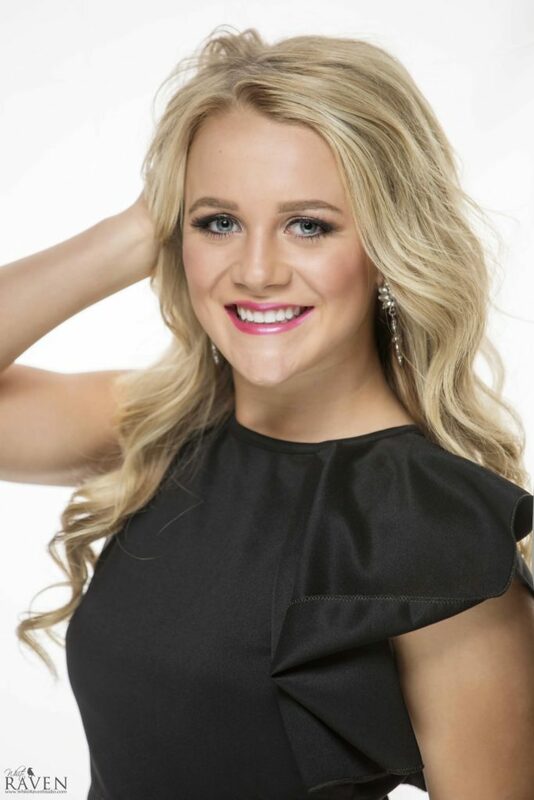 Addelyn Brotherson, competing in Miss America’s Outstanding Teen pageant. ORLANDO, Florida—Addelyn Brotherson of Wales is competing against 51 other contestants for the title of Miss America’s Outstanding Teen. As a 15-year-old, Addelyn is one of the youngest girls competing this week and weekend at the contest, being held in Orlando, Florida. Three nights of preliminary competition started on Tuesday. The final night of competition will be this Saturday. “Ad has always been a performer,” Elizabeth Brotherson said about her daughter. She remembers when Addelyn was 5 years old and sang the national anthem at the 2007 Sanpete County Fair. Addelyn will perform a 1940s-themed “jazz baseball routine to a baseball boogie,” as her talent in this week’s competition. Addelyn grew up with her two younger siblings, Lakely and Kortlyn, on a farm in Wales, where the family cares for horses, cows and pigs, all of which Addelyn has shown at the Sanpete County Fair. The Outstanding Teen Pageant is an arm of the Miss America organization. The crown received by those who win it has four points which represent Style, Service, Success and Scholarship. In October 2016, Addelyn competed and was crowned Miss Utah’s Outstanding Teen, which is a little sister program to Miss Utah. Elizabeth Brotherson explained that one of the things Addelyn has been most passionate about is her service platform, aimed to help bring about awareness of mental illnesses. Addelyn calls it M.I.S.S., which stands for Mental Illness Silent Suffering. Addelyn was awarded the Teens in Action service award for her platform at the Miss Sanpete Outstanding Teen competition. 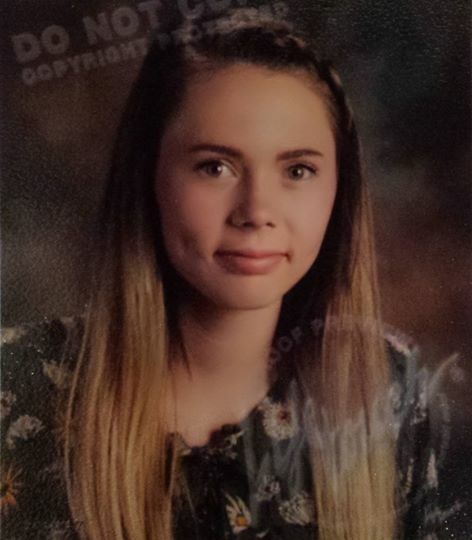 Addelyn will be a sophomore at North Sanpete High School this fall. In the future, she plans to pursue a degree in neuropsychology. MANTI—Six Sanpete girls ages 13-16 will compete Friday for the title of Sanpete County’s Outstanding Teen. The Oustanding Teen program is an extension of the Miss America program and, at state and national levels, leads to scholarships and opportunities to serve local communities. Contestants are also required to develop a platform or service project which, should they become part of this royalty, they will implement throughout the next year. 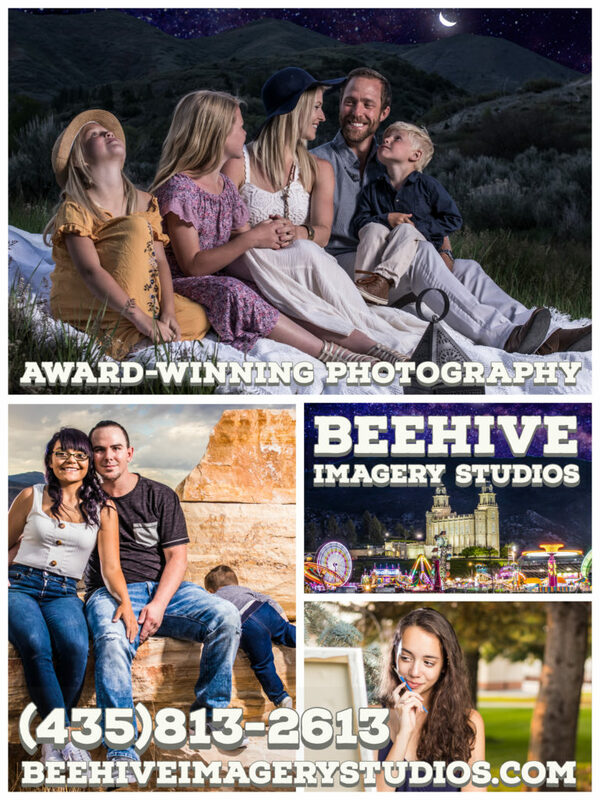 The Royalty also plays a role in Sanpete County Fair events, and will be seen at parades, service-oriented functions and pother celebrations throughout the county. The winner will follow in the footsteps of last year’s Outstanding Teen queen, Libby Simons. Simons is the daughter of David and Allison Simons of Manti, Utah. The pageant is Friday at 7 p.m. at Manti High School. Tickets are available at the door, which opens at 6 p.m. Ticket prices are $7 for ages 12 and up; $5 for ages 4-11; children age 3 and under get in free. Platform: Age Affects the Body Not the Soul — remembering and honoring our elders. Daughter of Preston and Natalie Burnside of Mt. Pleasant. Platform: S.O.S. — The effort to raise awareness and educate about effects and offer support within and around emotional abuse. Daughter of Brian and Misty Braithwaite of Manti. Daughter of Deric and Muria Everitt of Ephraim. Platform: Only One You — Building healthy self-confidence. Daughter of Bryan and Breanne Keisel of Manti. Platform: Fit with Flare — being healthy and educated about food and fitness options. Daughter of Robert and Tiffany Evans of Manti. Daughter of Clifford Johnson and Madeline Johnson of Ephraim. If you would like more information about the pageant, see the Facebook page, “Miss Sanpete County’s Outstanding Teen,” or email misssanpetecounty@gmail.com, or call Emily Cox at 435-851-0316 or Anne Fonville at 435-362-1038. SPRING CITY—For seniors in Spring City, the new and renovated city hall building means more than just a nice meeting place for city officials—it means the former city hall might be the perfect place for a new senior and community center. Owen Hogle conducted a meeting this past Tuesday for seniors and supporting community members where the main topic of discussion was a plan for the creation of this new center. First, Hogle said, they would need board members. The meeting was held at the old city hall at 150 E Center Street, next-door neighbor to the newly renovated city hall building. Nearly 30 senior community members were in attendance to discuss the project and take part in organizing it. Spring City community members donated more than two million dollars for renovations in the new city hall building. It opens for operation officially this Thursday and is host to a new ballroom, artist’s loft, city office and council chambers. There has, however, never been a senior center in the city. Hogle said the idea for the operation began with help from Spring City Mayor Jack Monnett and a “steering committee” to gather interest and members to help with the project. Access, Marcy Savage said in the meeting, is one of the issues community members face. For Savage, the nearest computer access is in Mount Pleasant at the local library. With the new center, she said, comes the possibility of a reading room with computers for community use. A lending library, lounge area, use of the center gym and kitchen and various classes were also brought up by community members in attendance. Possible classes discussed include yoga, tai chi, health and nutrition classes and various crafting lessons. According to Monnett, the city is in full support of the plan for the center. “We want you all to succeed, we just need a committee organized and a proposal presented for council approval,” Monnett said at the meeting. For city council approval, interested seniors must have a proposal including how the operation will be organized, a breakdown of administration and plans for the center, according to Monnett. Hogle and Savage are two of the seven board members nominated at the meeting. Also nominated were Bonnie Jones, Renelle Smith, Gloria Black, Ken North and Pat Ellsworth. Elections for president, vice president and treasurer will be held at a later date. Smith spoke on the issue of fundraising at the meeting and explained the possibility of a center thrift store where community members could donate unneeded items to be sold in the center. Revenue would help pay for center classes, utilities, the center’s renovation and possibly a van. “If we got a van we could get people that can’t walk, see or drive and pick them up,” Jones said at the meeting. Hogle explained in the meeting that the center, with approval from city council, could be up and running as late as spring. Later, he said that because the old city hall building is vacant, the center could be running within the month with good operation and organization. EPHRAIM—Federal Bureau of Investigation agents have been in Ephraim for what the agency is calling a “review” of the allegations swirling around the Ephraim City Police Department in recent weeks. On Wednesday, the Messenger confirmed that the FBI was looking at the case in a manner that was described by the agency’s Salt Lake City Regional Office spokeswoman, Sandra Barker, as preliminary. “The Federal Bureau of Investigation is reviewing the matter,” Barker told the Messenger. Barker confirmed that federal agents had been in Ephraim recently, but declined to say specifically what they had been doing. She did, however, quash rumors that agents had retrieved and removed documents from city or police department offices. 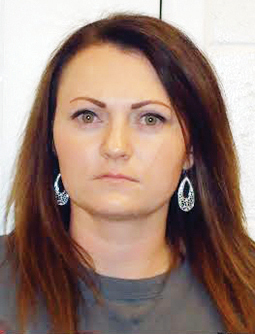 There are a number of ways the FBI can initiate such reviews, but Barker confirmed a tip had been received about the case, which by then had been publicized in local and statewide news outlets. “We were aware of it when we heard about it in the media,” she said. 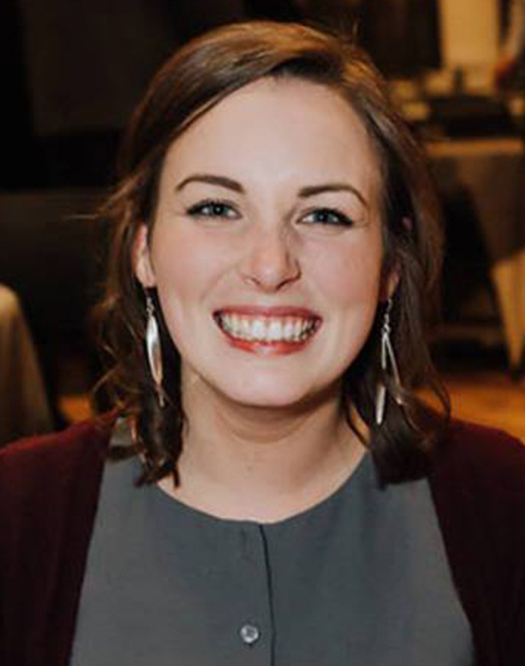 Aimee Cobabe, an award-winning journalist previously with Utah Public Radio, has been named as the News Director at Mid-Utah Radio. MANTI—Mid-Utah Radio has a brand new voice coming to its airwaves. Aimee Cobabe has joined the radio group as News Director at KSVC AM/FM. Before coming to Mid-Utah Radio’s Richfield office, she worked for Utah Public Radio (UPR) as a news reporter, producer and special series director. She graduated from Utah State University with a degree in broadcast journalism in 2017. Originally from Davis County, Cobabe won a 2016 Emmy Award for College Student Production with Aggie TV news and she also took home a Society of Professional Journalists award in 2015. While Cobabe’s work at UPR extended across the spectrum on news and feature stories, she said one of her passions is covering land use issues in Utah—a sensitive and important topic in Sevier and Sanpete counties. Cobabe also lives her journalism—with what she calls a personal drive to tell the truth while working in the media and for the public interest. Cobabe’s former News Director at UPR, Morning Edition host Kerry Bringhurst, sang nothing but praise for her former reporter. Cobabe is slated to co-host the morning show and will present live newscasts throughout. She will also cut in with news briefs during the day and provide news updates on 97.7 FM, The Wolf and write for midutahradio.com. Tiffany Krebs, co-owner of Happy Camper in Ephraim, greets a pair of customers last week. The store, which opened in March, is expecting increased business as the fall semester at Snow College approaches. Tiffany, along with her daughter and co-owner Shay Krebs, will be expanding the floor space of the business in the coming months. EPHRAIM—It might sound contrary to popular notions, but when it comes to shopping, the owners of The Happy Camper think that older is better. But Shay and Tiffany Krebs, the Fountain Green mother-and-daughter duo who opened the Ephraim vintage and consignment store in March, are apparently not the only ones who feel that way. 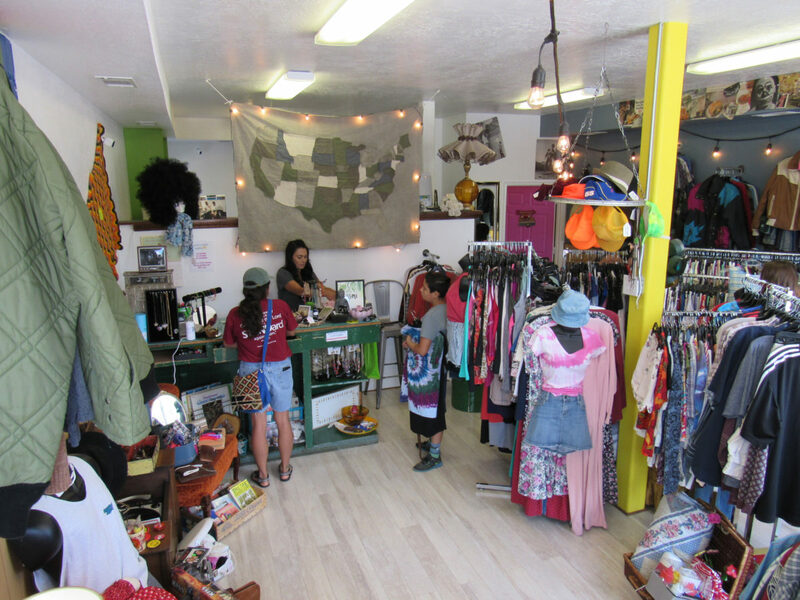 When the store opened, Shay said she wasn’t sure how well it would do, since it was nearly the end of Snow College’s school year. The Krebses started with about 600 square feet in a store located at 35 S. Main. But they have bigger plans. They say they intend to take over space in an office behind the current location. That means residents and visitors to Ephraim who stroll the city’s Main Street will soon have an even greater variety of vintage clothing and furniture options. The store contains overflowing racks of vintage 1970s- and 1980s-era clothing, and unique and well-maintained furniture and accessories from days gone by. It also sells consignments of good quality furniture, clothing and jewelry, as well as the works of many local artists that sell their wares for a percentage of the sale price. One of the most unique features of the store is a wall covered in Polaroid photos of friends, customers and visitors to the store. The store’s social media presence is growing, too, with The Happy Camper boasting both an Instagram and a Facebook page. The store, located at 35 S. Main Street in Ephraim, is open Tuesday through Saturday from noon to 6 p.m.
Tiffany Krebs (left) and Shay Krebs are the co-owners of Happy Camper in Ephraim. 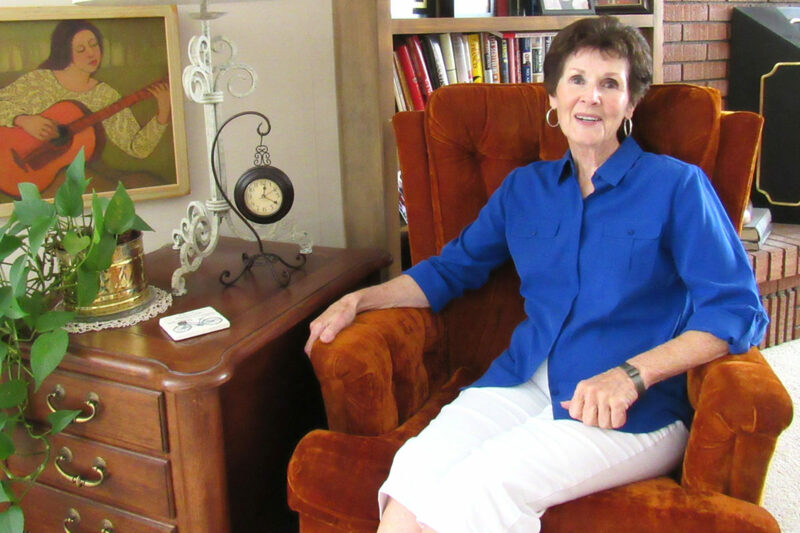 Natasha Madsen sits in her chair at home, surrounded by books and local artists’ work. 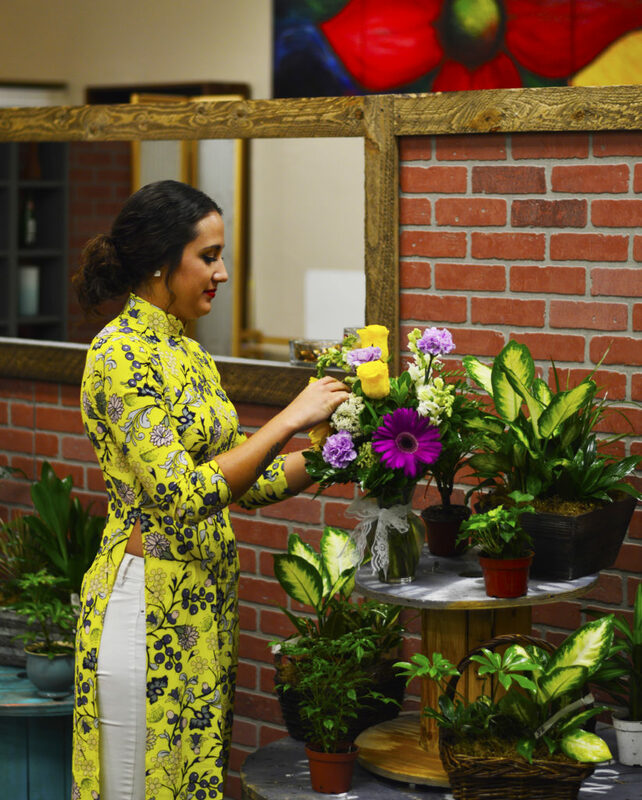 Ephraim’s new florist, Alicia Zapata Salazar, prepares a floral arrangement at the new Ephraim floral shop, the Tilted Tulip, which grew from a partnership with Ephraim-businessman Ryan Roos, owner of the Thunderbird Bookstore. EPHRAIM—A serendipitous friendship has blossomed into a partnership that has led a new floral shop to bloom in downtown Ephraim. The Tilted Tulip is the fruit of a collaboration between local artisan florist Alicia Zapata Salazar and Ephraim businessman Ryan Roos. Roos is in the process of completing a transformation of his bookstore, Thunderbird Bookshop, expanding into the antique and art markets to compliment his books and Salazar’s artisan floral design. He says he is excited to continue offering Ephraim a quality bookstore. Salazar met Roos at the bookshop, and a friendship blossomed. The idea to launch their own floral boutique grew out of that. friendship. Salazar has been doing floral design professionally in Sanpete County for about two years. She says she never thought of herself a creative person as a youth, but with the help of those closest to her, she discovered her calling in floral arrangement. Salazar says she loves the community atmosphere in Sanpete, and that the diversity of nearby Snow College adds a nice touch to the city. Their shop, which is located at 77 S. Main Street, will have its grand opening, starting today and going through Saturday. 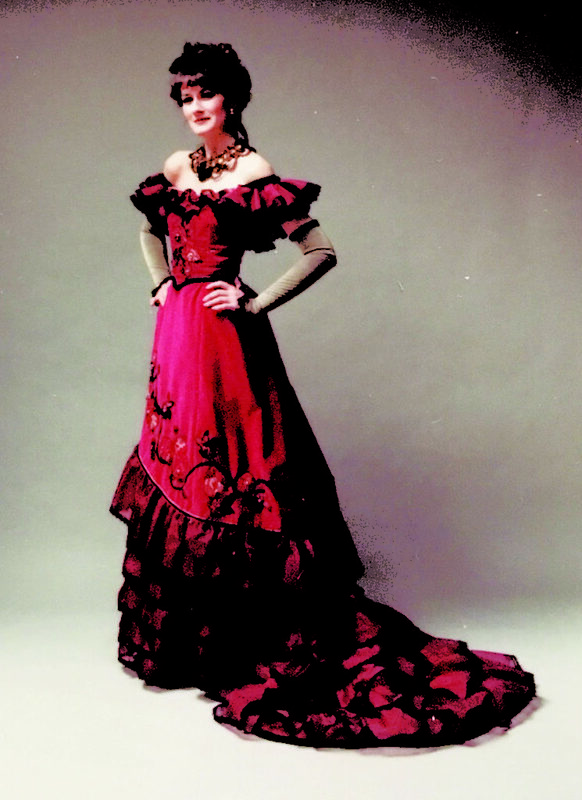 Susan Memmott Allred circa 1984 posing in a gown she designed for the Utah Opera. SALT LAKE CITY—Susan Memmott Allred, a costume designer who has contributed to multiple theatre organizations and performances across Utah and local to Sanpete County, has been honored with the Days of ’47 2017 Pioneers of Progress Award for Historic and Creative Arts. The award recognizes Memmott Allred’s lifetime achievement for her contribution in the arts. Memmott Allred credits some of her success to the organizations and performances she has helped launch with her costume design. In Salt Lake City, Memmott Allred worked with the Utah Opera and founded the opera’s costume shop, “They still have literally over millions of dollars’ worth of stock because of that.” At the Shakespearean Festival’s inception and after attending Southern Utah University she worked with former college professor, festival founder and executive producer emeritus, Fred Adams. When aerial ski acrobatics began, Memmott Allred designed the ski clothing for skier Bob Theobald. In Sanpete County, Memmott Allred designed costume for the Mormon Miracle Pageant and worked to “revamp” the production. Since 2004, Memmott Allred has worked costume design for the Mormon Tabernacle Choir and the PBS Christmas show. Though, Memmott Allred is not always sewing costumes; sewing, she said, is something she has done since she was a teenager. Memmott Allred said that sewing just came easily to her. When she would sew with her mother, she would get scolded for straying away from patterns and following her own ideas instead. For her wedding, Memmott Allred designed and dressed the entire party, included herself. “From the 18th century, it was just beautiful. Off the shoulder, black organza. Beautiful, fluted black organza ruffles with beading. Lots of beading,” Memmott Allred said about the gown, worn by soprano opera singer JoAnn Ottley. Leslie Peterson, Utah Opera development director, also remembers Memmott Allred’s work on costume design for La Traviata. While Memmott Allred remembers one of the earliest productions, Peterson recalls when Roberta Peters, a famous soprano, performed. “There is always a bit of extra pressure when you bring in someone with that kind of stature. Sue had the ability to make Mrs. Peters very comfortable here,” Peterson said about the experience. Since 1978 Peterson and Memmott Allred have worked together at the Utah Opera. “We grew up together in the business,” she said. Peterson’s father, who was from Fairview, was looking for someone to design and build costumes when Memmott Allred was a recent college graduate. At the beginning of her work with Utah Opera, Peterson said Memmott Allred brought her own equipment and supplies, along with family members and built costumes in the basement of the theatre. Peterson said, following the production, Peters had expressed interest in purchasing the gown made for her in “La Traviata” by Memmott Allred to wear in future performances. Memmott Allred said she will continue to work on the Mormon Tabernacle Choir and PBS Christmas Concert for some time. On the side, she picks up freelance gigs. “Just small things,” she said. Outside of costume design, Memmott Allred said she wants to focus on being a grandma and writing a “small book” filled with her thoughts and poetry. The book, she said, is something she has always wanted to do. 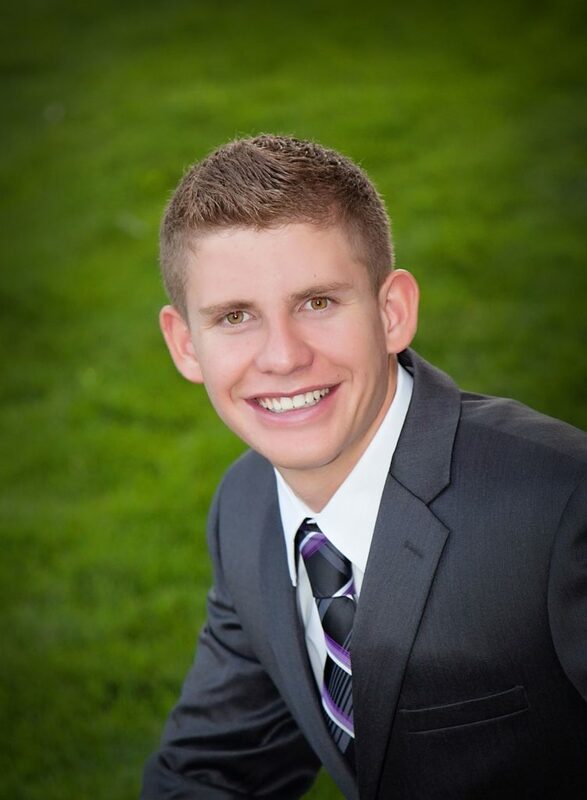 Kincade Grasteit, son of Thor and Kristin Grasteit of Fairview, has been called to serve in the Kennewick Washington LDS Mission. He will speak at 11 a.m. on Sunday, July 30 in the Fairview 2nd Ward, 131 E. 100 N. (Rock Church). He will enter the Provo Missionary Training Center on Wednesday, August 9. Grandparents are Kimball and Trudy Bailey of Mapleton, and Neal and Cammie Grasteit of Hagerman, Idaho.